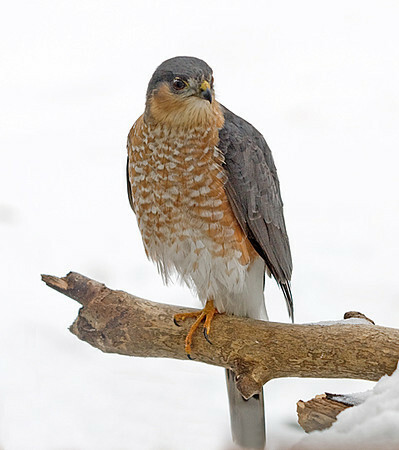 After making a run at our feeder area, this male Sharp-shinned Hawk perched in our front yard. He scanned the area for about 5 minutes, scratched his ear several times, and alternated standing on one foot in the cold weather. The male Sharp-shinned is significantly smaller than the female that we have seen before.